I have been fascinated by fairies and angels since I can remember. I have read books on both subjects and have always felt especially close to the angels around me. I know this might sound strange, but I talk to them all the time! I don’t know if they are listening, but it helps sometimes to know that I am not alone especially when I am having a really bad pain day or during a difficult time in my life. I know when I am feeling scared I ask for Archangel Michael’s protection or if I am sick, I ask for Archangel Raphael to heal me. I actually ask Archangel Raphael for quite a bit since he is the angel of healing! My friend, Meesh’l, (who is a HUGE HUGE faery lover) bought my very first angel figurine 4 years ago for my birthday. She was beautiful and I have cherished her since that very day. I always wanted to expand on my collection of angels and now have been able to thanks to Faerie Glen of Tate & Company! Faerie Glen is a dream for anyone who is fascinated with the fairy and angelic realms like myself. 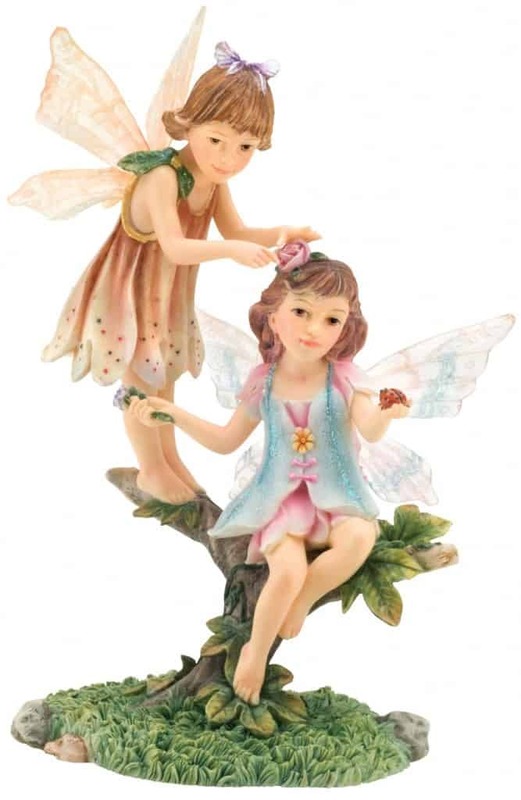 They have everything you need to satisfy your love for fantasy gifts including angel and fairy figurines, celtic items, dragons, mermaids- all that your imagination could every desire! I was like a kid in a candy store browsing through their site and wanted it all! I received the Angel of Blessing from the Angels Around Us Collection. She is beautiful! Just breathtaking to look at. She stands about 6 inches high. She’s wearing a beautiful flowing pink dress with flowers and her wings are extended out her back. 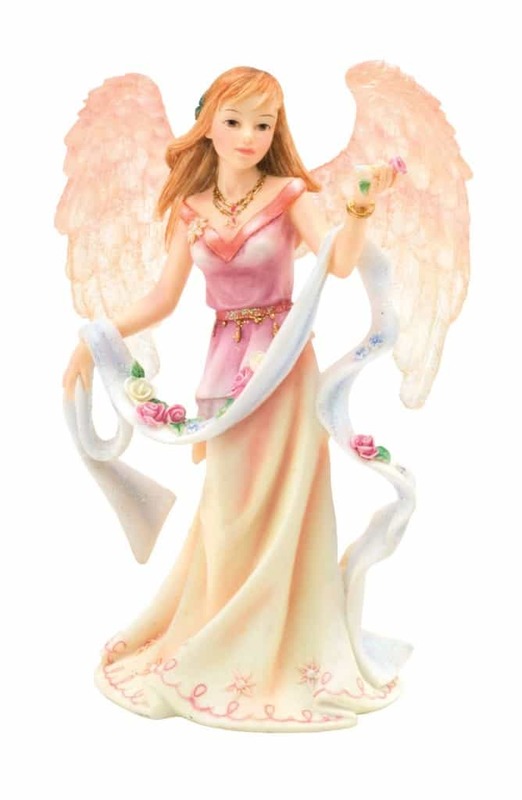 I have her on display on our shelf in our upstairs hall with my other figurines and I definitely want to buy the other Angels from the Angels Around Us Collection to complete it. Angels have always been a source of comfort for me and I want to surround myself with people and things I love. She costs just $19.99! Visit Faerie Glen and check out all the collectibles and find one to add to your collection or better yet start one of your own! Voted on Picket Fence Blogs for you.